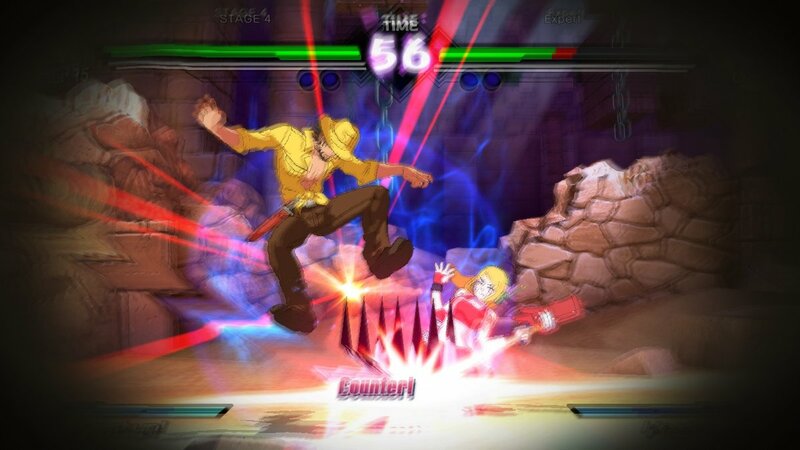 It seems like Blade Strangers, the crossover fighting game from Nicalis, is getting at least one new character as DLC. Nicalis posted the screenshot you see above on Twitter, alongside the text “Aban performs a perfectly timed Counter vs Curly in #CrystalCri–wait, what!?! This isn’t #CrystalCrisis!”. 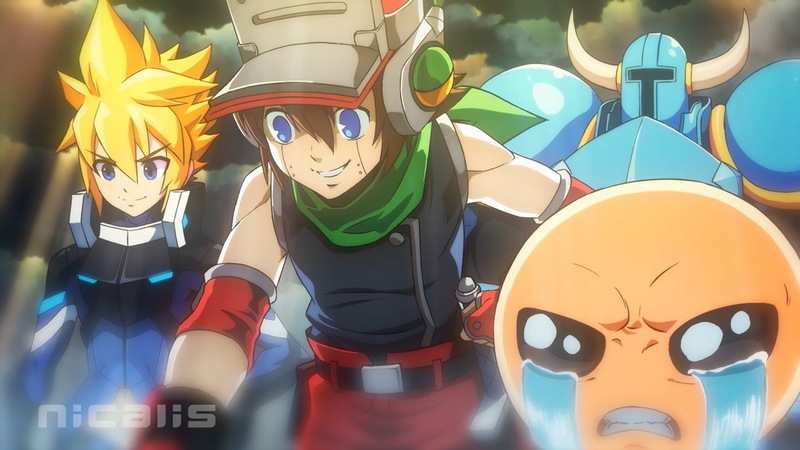 Aban (Hawkins) from 1001 Spikes is one of the characters in the picture, however the game shown isn’t Crystal Crisis, a crossover puzzle game in which Aban is confirmed to appear, but Blade Strangers, where he isn’t playable yet. This seems to indicate that Aban will be added to Blade Strangers as DLC; it’s unclear whether this’ll be paid or free DLC. 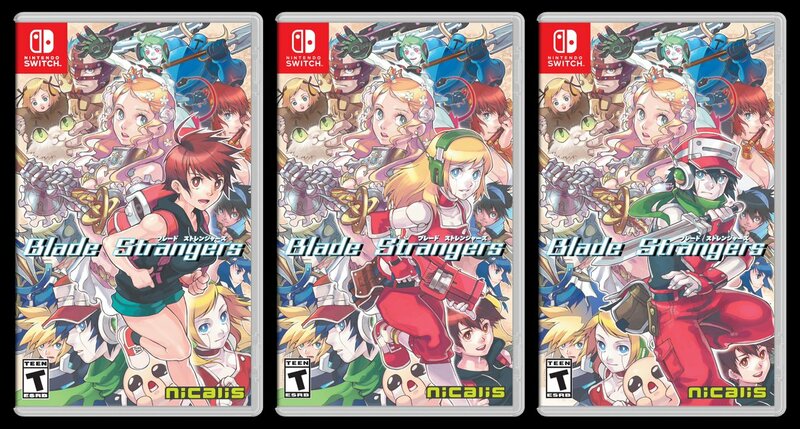 Blade Strangers is now available to purchase physically and digitally on Switch. Take a look at the official launch trailer below. 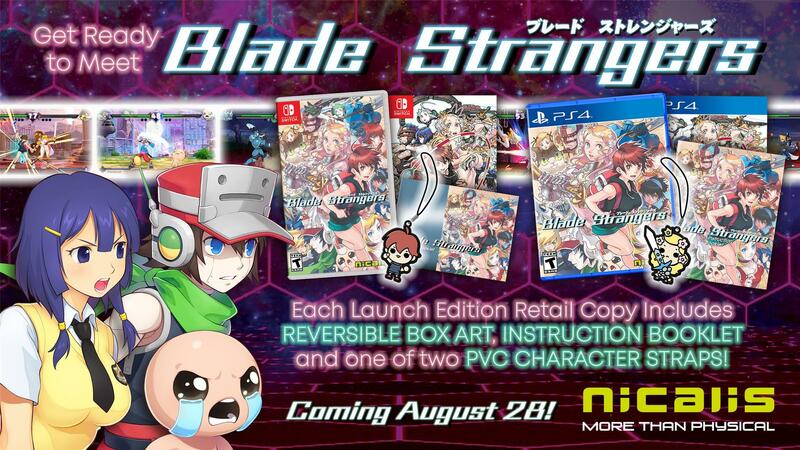 Nicalis is going all out for the physical version of Blade Strangers. Fans will be able to use a few different alternate covers, pictured above. They were designed by Kinu Nishimura. Blade Strangers launches next Tuesday. The physical version includes an instruction booklet and PVC strap. Nicalis has determined a western release date for its crossover fighting game Blade Strangers. It’s due out on August 28, the company announced today. 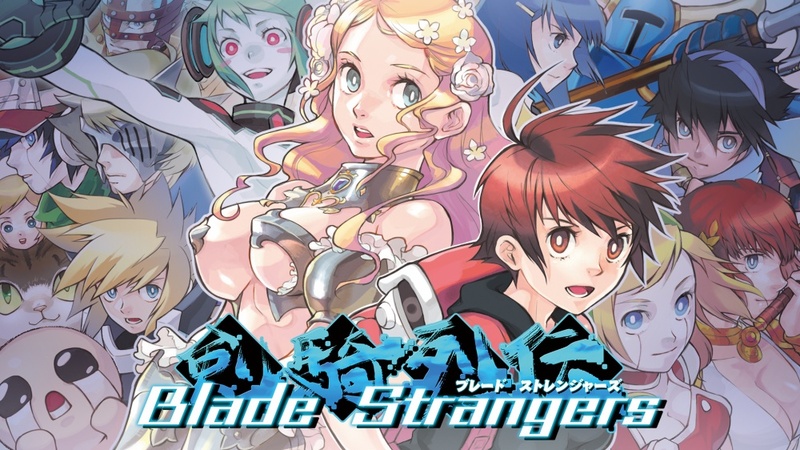 Blade Strangers features characters from a number of games, including Cave Story+, The Binding of Isaac: Afterbirth+, Code of Princess EX, Umihara Kawase, Shovel Knight, and Azure Striker Gunvolt. You can also expect a plethora of modes such as Story Mode, Challenge Mode, online support, and much more. 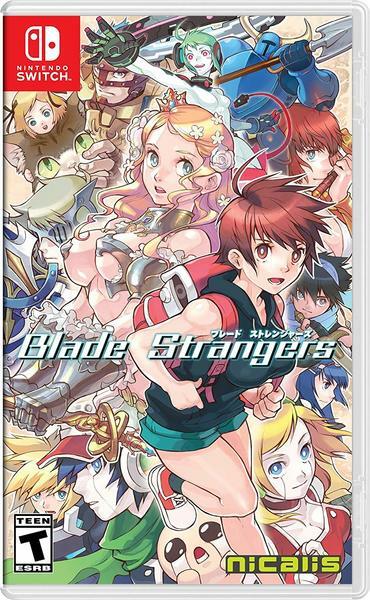 Blade Strangers gets some new art for its case according to a posting from Amazon Canada. You can see the new art above. Blade Strangers is launching sometime this summer in the west. As for Japan, a release date of August 30 was announced today. Blade Strangers will cost 4,000 yen physically and 3,700 yen digitally. 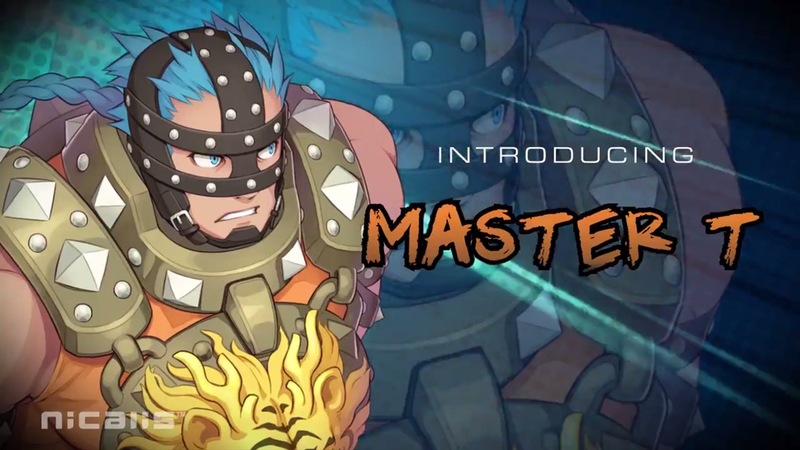 As Nicalis continues to highlight Blade Strangers’ roster, we have another character trailer. View a video below for Solange, who is representing Code of Princess. The stunning star of #CodeOfPrincessEX wields the sacred blade DeLuxcalibur! Nicalis has once again shared a character trailer for the Switch fighter Blade Strangers. We have a video below for Master T, a character from Code of Princess.